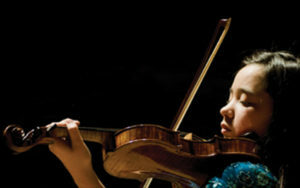 The Phil and Eli Taylor Performance Academy for Young Artists provides elite musical training in a nurturing environment for Canada’s brightest young musicians. On Saturday, March 03 at 7:30pm, STM is proud to present six rising stars, all under 18, in concert. Tickets are $20 (you can purchase online at the bottom of this page). Students under 18 are free. Proceeds of this concert will support Springboard To Music.